Income tax slabs are the rates on the basis of which individual taxpayers are required to pay tax to the Government of India. The applicable rates for the relevant assessment year are announced by the finance minister in the interim budget. Likewise, the income tax slab rates for Financial Year 2019-20 and assessment year 2020-21 was announced on 1st Feb 2019 by Mr. Piyush Goyal in the interim budget in the Parliament. The income tax slab rates are directly related to an increase in the income slab. Income tax slab rate for an assessee depends on many factors such as the amount of income, nature of income, source of income and age of individual taxpayer etc. Considering all these factors, there are 4 basic categories of tax slabs, out of which 3 are for individual taxpayers and one is for domestic companies. Individuals (residents as well as non-residents) and Hindu Undivided Family who are below the age of 60 years. Senior Citizens whose age is more than 60 years, but less than 80 years. Senior Citizens who are above 80 years of age. The applicable tax slab rate for an assessee depends on the category under which he falls. Income Tax Slab Rate for FY 2019-20. 1) If annual income is less than INR 2,50,000 – no tax and no health and education cess is to be paid. 2) Individual taxpayers and HUF whose income is more than INR 2,50,000 but less than INR 5,00,000 – 5 % of the total amount exceeding INR 2,50,000 shall be paid as tax. 3) Individual taxpayers and HUF whose income is more than INR 5 Lakh but less than INR 10 Lakh – Rs. 12,500 + 20% of total income exceeding Rs.5,00,000 is to be paid as tax amount. 4) if total income of an individual is above Rs.10 lakh – 1,12,500 + 30% of total income exceeding Rs.10 lakh is required to be paid as tax. If income is less than INR 3 Lakh – no tax and cess are to be paid. 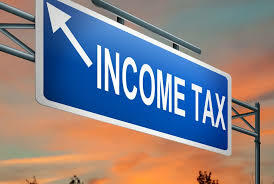 If income is more than INR 3 Lakh but less than INR 5 Lakh – 5 % of the amount exceeding INR 3 lakh is to be paid as tax. If income is more than INR 5 Lakh but less than INR 10 lakh- 20% of the amount exceeding Rs. 5 Lakh must be paid as tax. If income is higher than INR 10 lakh – tax amount is 30% of the amount exceeding Rs. 10 Lakh. For such citizens, the basic exemption limit is INR 5 Lakh, i.e. no income tax shall be paid if annual income of senior citizen is up to Rs. 5 Lakh and if the income is between INR 5 to 10 Lakh and above Rs. 10 Lakh, 20 % of the total amount and 30% of the excess amount shall be paid as tax respectively. In any of the above three categories of individual taxpayers, if the total income exceeds the basic exemption limit, then in all such cases, 4 % of the income tax amount is to be paid as health and education cess and if the total income is Rs. 50 lakh or more but less than Rs.1 crore, then an additional amount of 10% of the income tax must be paid as a surcharge. Also, if the total income is more than Rs.1 crore, then the amount of surcharge is 15% of the income tax. 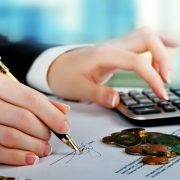 Income tax slab for domestic companies in India depends on the annual gross turnover of the company. If the gross turnover in the previous year is less than INR 250 crore, 25 % of the amount is to be paid as tax and when the gross turnover in the previous year exceeds INR 250 crore, 30% of the amount is to be paid as tax. 4% of corporate tax must be paid as cess in both the above cases and applicable surcharge is 7% if the taxable income is more than INR 1 Crore but less than 10 Crore and whenever the taxable income is higher than Rs.10 crore, the applicable surcharge will be 12%. Section 80 C, 80CCC And 80 CCD of Income Tax - Who Can Claim? What is e-Pan and how to apply for it? How to file the Income tax return without Form 16?